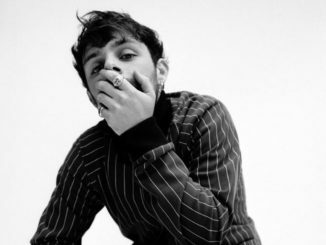 Bringing his Lighting Matches tour to the south coast of England on Monday night, Tom Grennan started and finished to a rapturous applause at the SOLD OUT O2 Guildhall Southampton. 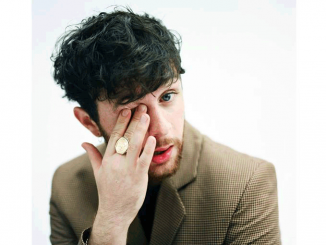 Its been two years since his first show to around 300 people at Joiners, and now he is performing to a 1700 capacity venue that was full to bursting point. 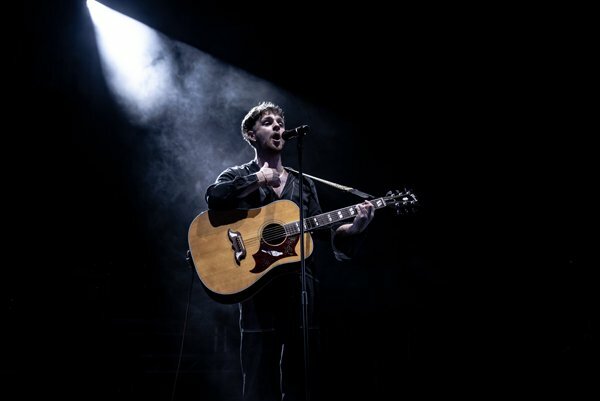 Taking to the stage on time at 9:30 Tom came on solo clutching an acoustic guitar and performed Sweet Hallelujah to the Southampton crowd who sang every-word back to him. Afterwards, his touring band appeared and the hype was turned up to the max. He continued the opening portion of his set with Royal Highness and Praying. Tom had the audience in the palm of his hand from the get-go with his boundless energy and stage presence. His talk after every 3 songs got monotonous but it was necessary to calm everyone down and give everyone a break as the energy did not stop throughout the night. As Tom left the stage before the encore the crowd chanted “one more song” over and over until he reappeared. Instead of one song, they got four! The encore began as he started the show with Tom returning to the stage with his acoustic guitar to sing Little by Little Love. 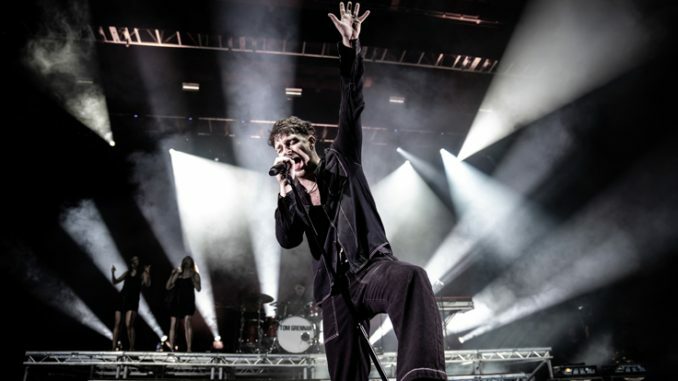 However, Tom thought he was starting the encore with All Goes Wrong (his collaboration with Chase and Status from 2016) so I wondered where the rest of his band was which led to a laugh from the audience. A little mistake every now and then should be allowed especially when Southampton was his 7th show in just over a week stretching from South Africa to Glasgow, Newcastle, Leeds, Manchester and Bristol – with Channel 4s Sunday Brunch threw into the mix as well. How far Tom has come in such a short amount of time hit him on his final song, he asked the crowd to sing parts of Run in the Rain back to him. But I don’t think he was quite prepared for what was going to come back at him. The crowd not only belted out the first chorus but also took over the 2nd verse to which you could see was very emotional for Tom who welled up and couldn’t continue singing until he composed himself for the 2nd chorus. The crowd sung every word with him until he held the final note for longer than anyone thought he could. It was an amazing end to an inspirational night, where Tom proved to everyone that no matter how many twists or turns your life takes you can make it work, and anything is possible. 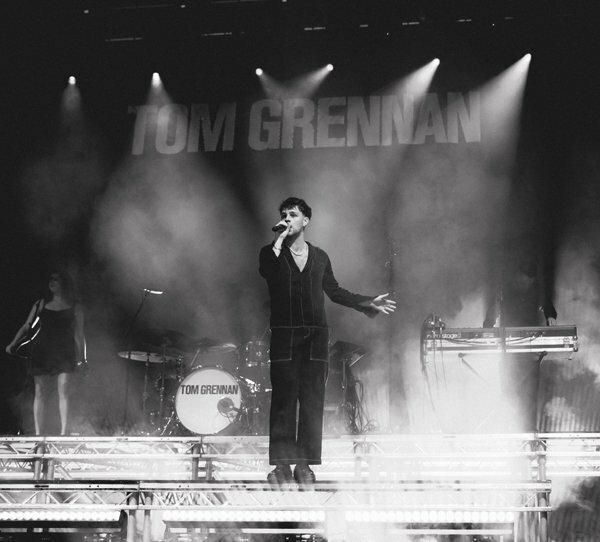 Tom’s Lighting Matches tour continues throughout the UK and Ireland until the end of the month, with many dates sold out. 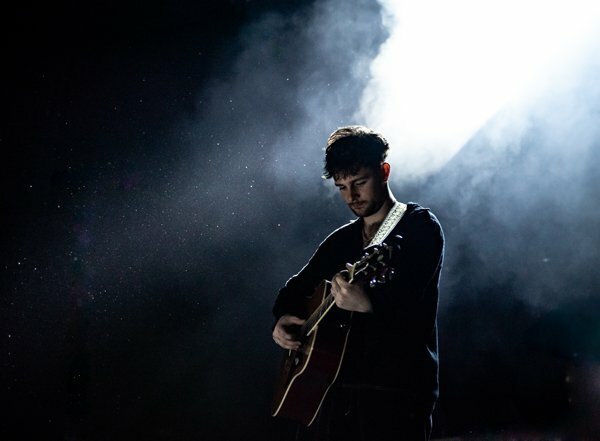 Tom plays Dublin’s The Academy on October 27th (SOLD OUT) and finishes at Belfast’s Limelight 2 on October 28th where only a few tickets remain. Catch him whilst you can this is a show not to be missed.